It can be difficult to keep things simple in the build-up to a wedding but for couples that are keen to adhere to a sense of style and tradition, it can be very worthwhile. This is why finding solutions and options that are simplistic but with a slight flourish are very attractive and this is exactly what is on offer with the Gold Script Personalised Wedding Invitations from Chapter One Press. As the name suggests, the main body of the invitation doesn’t do much to attract your attention but the key text on the front changes all that. The golden script is stylish, traditional and when it catches the light, it comes to life. This is a strong point of this invitation because it has two different styles. In one light, it is a plain invitation with a stylish font but the golden foil style creates a very different look, which is something that many bride and grooms are trying to create for their wedding day. The ceremonial part of the big day is often solemn and important but the party celebrations are a lot more relaxed and care-free. 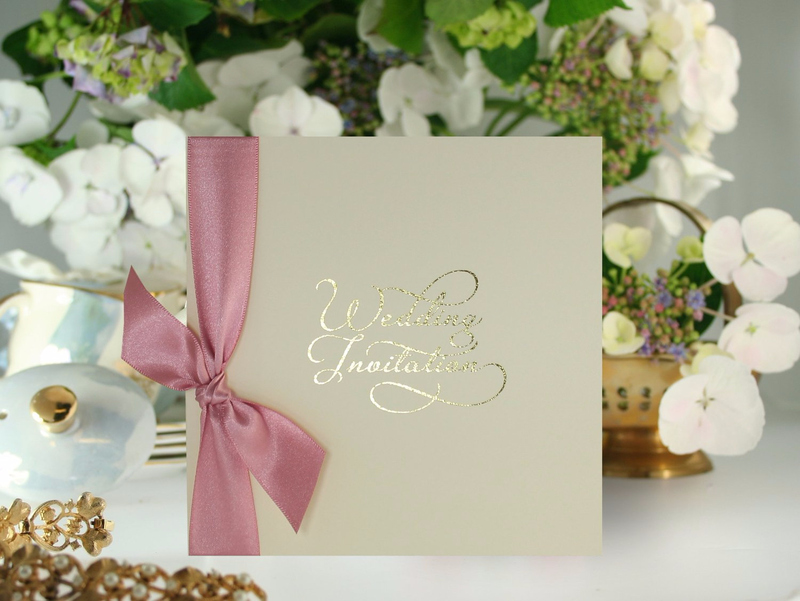 This style of invitation taps into both elements of a wedding day, making it a perfect choice for couples looking to have a great day, all day long. 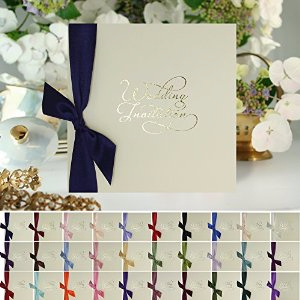 There is the chance to personalise the information and with ribbons and bows coming as accessories, there is a chance to add additional flair and excitement to the card. 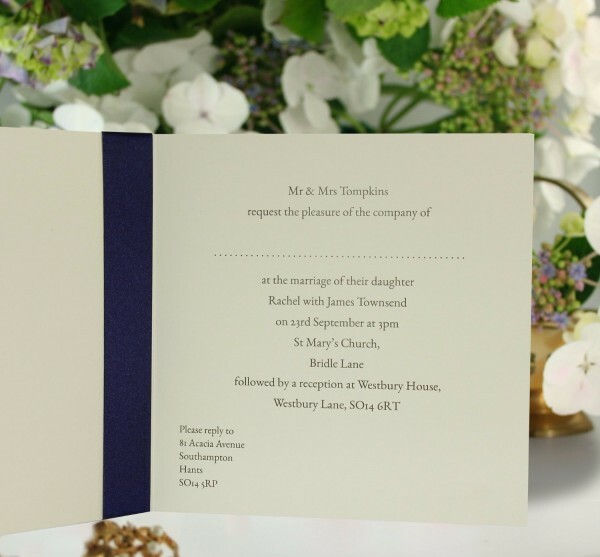 No matter what sort of wedding day or event you are planning, the versatility of this wedding invitation makes it a perfect choice for most couples.